Just a of couple months ago, Manchester United effectively ‘broke the internet’ through their announcement of January signing Alexis Sanchez from Arsenal. Although the deal had been leaked a couple days prior to the official unveiling, United fans still couldn’t contain their excitement and the video footage of the Chilean playing the piano will certainly live long in the memory of social media. However, it would not be a harsh assessment in stating that Sanchez has not yet lived up to his high expectations, with the Chilean failing to replicate the sort of clinical and dynamic style of play that fans were so accustom to witnessing during his time at Arsenal. Fans and pundits alike have identified one major factor behind this, with the consensus agreeing on the fact that Sanchez hasn’t yet found his comfortable playing position/role, in United’s current system. Whilst predominantly favouring to operate on the left flank as an inside forward, Sanchez’s main strength over the last few years has been his ability to drop deep and the carry the ball forward, occupying the zonal spaces from his left hand side to the centre, within the final third. Although this exact style of play is being attempted at United, it is however simultaneously clashing with other players, most notably Paul Pogba or the selected no.10 in the side. With Pogba preferring to be utilised as a LCM, with a license to go forward, the Frenchman’s best displays in a United jersey have come when he has been able to find space ahead and therefore operate with the ball inside the final third of the field. However, with Sanchez also looking to occupy the same zone, the two have therefore been clashing, thus affecting United’s fluidity when they have ball and of course, each others individual impact on the game. Whilst also failing to influence the game as a no.10, this therefore leaves the question as to why Jose Mourinho is so reluctant to use Sanchez out on the right hand side, on a more consistent basis. This is of course, where many fans predicted the Chilean to be utilised, as following the red-hot form of both Marcus Rashford and Anthony Martial, the left hand side is arguably United’s strongest position, when it comes to strength in depth. At Barcelona, Sanchez thrived on the right flank, where he was both able to showcase his dribbling ability with direct running at the opponents and also come central inside the box, to get into goal-scoring positions. United themselves have lacked a consistent right winger for years, as although the likes of Juan Mata or Lingard are useful options, both players fail to offer natural width. 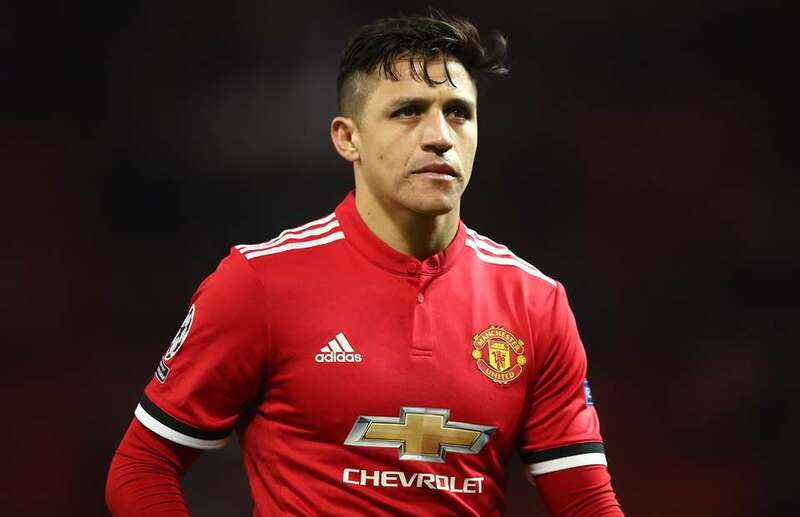 Fans are desperate for Sanchez to succeed at the club and undoubtedly it shouldn’t be long until he is back to his best, but at present, he should not be crammed into the side on the left flank or down the middle.